The '2018 Asia Model Awards' is set to kick off this coming May 6 at 7 PM KST, as the grand finale event of the 13th annual 'Asia Model Festival' in Seoul! The '2018 Asia Model Festival' officially begins on May 3 at 7PM KST. Throughout the event, various events such as the 'K-Model Awards & Asia Beauty Awards', the 'Face of Asia' rookie model contest, and more will celebrate the world of modeling, fashion, and beauty at the Namsangol Hanok Village. The '2018 Asia Model Awards' is set to close the week of events, taking place at the COEX D Hall. 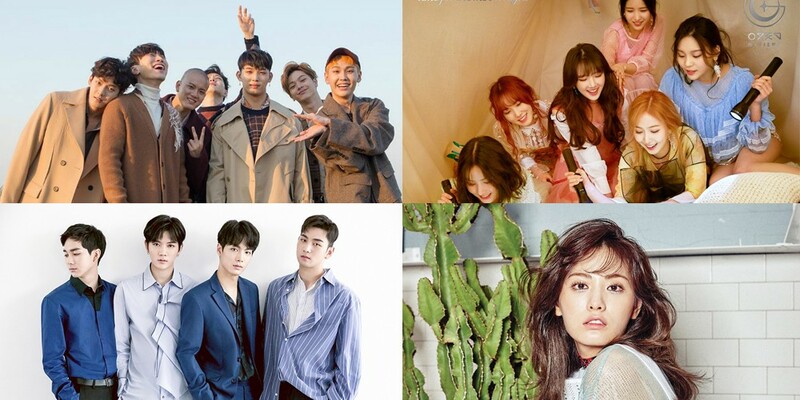 Stars who were invited to attend and accept awards for their contribution to the world of modeling, fashion, and beauty include: 2AM's Jinwoon, Nine Muses' Kyung Li, Jo Tae Kwan, Kim Min Gyu, Pyo Ye Jin, Han Bo Reum, Park Jung Min, After School's Nana, Lee Yi Kyung, Sung Hoon, Yoon Hee Jung, Tony An, Han Hye Jin, UNB, fromis_9, NU'EST W, G-Friend, and BTOB. These stars will be joined by models and beauty representatives from all over Asia.